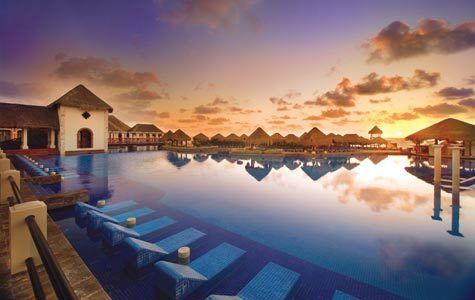 Take your family trip to the next level instantly with Now Resorts & Spas in Mexico and the Caribbean. Little ones, kids, tweens and teens will all find fun and modern entertainment, while parents and grandparents can expect Unlimited-Luxury® and relaxation. There are few better combos than a breathtaking beach and 24-hour room service for a multi-generational gathering. This is not your average family vacation — Live in the Now™. With resorts in Cancun, Puerto Vallarta and Punta Cana, Now Resorts & Spas offers some of the most spectacular beach views around. Bring your favorite book, spend an afternoon kayaking or even watch a movie with your toes in the sand. And whenever you want to cool off, there’s a spectacular pool nearby — with service ready to make sure your cup is never empty. Want some alone time with your significant other? Then let the supervised adventures of the Explorer’s Club for kids enthrall your children. With exciting and educational all-day activities for kids ages 3-12, they’ll have their attention captured — by American Red Cross certified staff — while you can let your mind wander freely. Children a bit older? The Core Zone Teens Club offers sports, pool games, water and indoor activities for the older kids to mix and mingle. When they’re happy, everyone’s happy. You’ve earned a little luxury. Now Resorts & Spas offers gourmet dining options from a variety of cultures, 24-hour room service, top-shelf cocktails, incredible spa treatments and so much more. Whatever you desire, Now Resorts & Spas can provide. 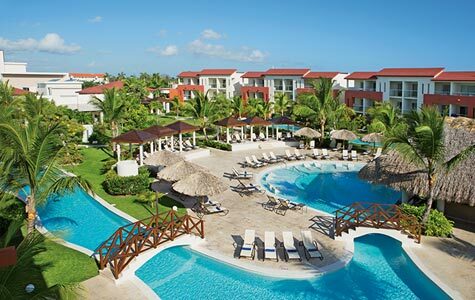 So go ahead and experience resorts where play and party are just steps from peace and quiet. It’s a vacation that has it all. Enjoy ocean-view suites, complimentary green fees, turtle release programs, the world’s second largest coral reef and impressive amenities. An oceanfront setting, complimentary green fees, turtle release programs, a collection of pools featuring luxurious Bali beds and more treat guests to the ultimate relaxation. 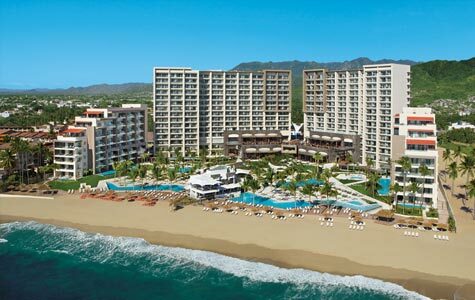 Guests can enjoy a night out at the famous El Malecón, turtle release programs, complimentary green fees and the historic sights of downtown Puerto Vallarta. Relax in your personal whirlpool from the privacy of your own balcony, or choose from an array of activities and entertainment — including exchange privileges with Now Larimar. Escape in an exquisite seaside setting with impressive amenities, modern Caribbean inspired décor, lavish accommodation and elite services. Plus exchange privileges with Now Garden. 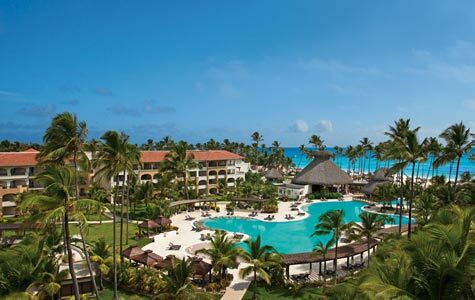 The luxurious suites offer pure pampering, including a plaza area with ice cream parlor and burger bar, plus adults-only exchange privileges with Breathless Punta Cana. 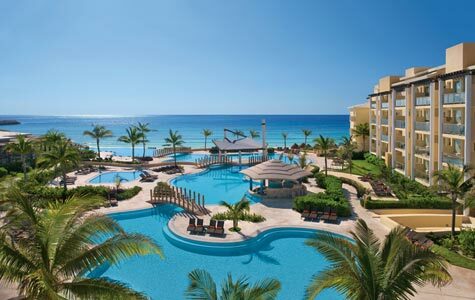 1Savings up to 50% plus $200 in resort coupons valid at All AMResort Properties except Sunscape Star Cancun. All savings will be reflected in system prices at time of booking. Valid on new reservations made between 6 pm CST on 4/9/19 and 6 pm CST on 6/18/19 for travel 4/9/19 - 8/17/19. 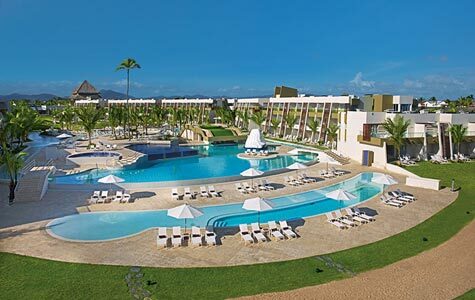 Savings Offer combinable with Up to 2 Children (ages 3-12) Stay Free with 2 Paying Adults valid at All Mexico family hotels (Dreams, Now, Reflect, Sunscape). All savings will be reflected in system prices at time of booking. Valid on new reservations made between 6 pm CST on 2/27/19 and 6 pm CST on 4/22/19 for travel 4/22/19 - 12/22/19.